Compared to the recent disappointing Olympic golf tournament, the Ryder Cup was a tremendous spectacle of high performance under pressure. Drama and excitement for three days of competition. At the Olympics, the golf event was a complete failure. The best golfers did not go, the spectators did not care. At the Ryder Cup Last weekend, a tradition since 1927 matching the best American golfers against the best of Europe, the golfers were excited to make the team and determined to play their best in front of 50,000 wildly enthusiastic fans. 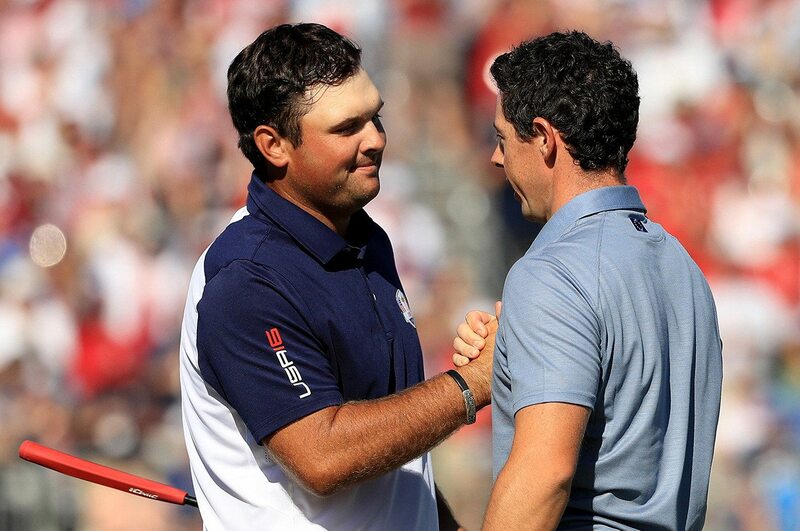 Patrick Reed and Rory McIlroy on the last day played one of the most epic battles ever seen on a golf course. It was a like a heavy-weight bout with the two of them pounding at each other on every hole and pumping up themselves and the fans along the way, while demonstrating the courtesy and etiquette of golf by respecting each other and loving every minute of the contest. Never a better performance to attract golfers and fans. Playing as a team is unusual for golfers. Golf is normally very focused on individual performance. Striving for the best score on the hole, the day and the tournament, then on to the next one. The golfer has only to meet his own expectations, any pressure is primarily imposed on himself. The Ryder Cup is an opportunity only once every two years to be selected to a team of the best twelve golfers to play together in front of the world. But the high pressure and focus on team effort seems to lead to exceptional individual performance. Maybe raising the stakes and then performing in public will motivate your team to run a better business. It may be as easy as setting more ambitious competitive objectives and then exposing the performance and contributions of all team members. Another lesson from golf for your business? Visit LearningEntrerpreneurship.comand join our mailing list for more ideas, information and inspiration for entrepreneurs. Check outUncle Ralph’s books, "Don't Do It the Hard Way" and "The Complete Do-It-Yourself Guide to Business Plans" Available online or at your favourite bookstore in hard cover, paperback or e-book.